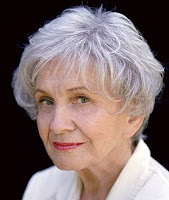 CELEBRATED Canadian short-story writer Alice Munro has won the 2009 Man Booker International Prize for a body of work that has contributed to world literature. 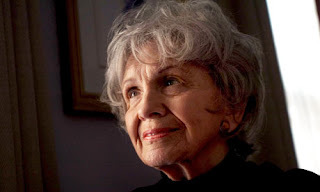 She has published 12 short-story collections, three of which won Canada’s Governor General’s Award for Fiction (Dance of the Happy Shades, The Progress of Love, The Beggar Maid). She has won two Gillers (Runaway, The Love of a Good Woman). Her début collection, Dance of the Happy Shades, was published in 1968. Her fourth collection, The Beggar Maid (published in Canada in 1978 as Who Do You Think You Are?) was shortlisted for the 1980 Booker Prize for Fiction. Her most recent collection is The View from Castle Rock, published in 2006. Munro was selected from a shortlist of international writers that included Peruvian writer Mario Vargas Llosa, Nobel laureate V.S. Naipaul, Australia’s Peter Carey, the U.K.’s Booker Prize-winning Scottish writer James Kelman, E.L. Doctorow and prolific U.S. literary powerhouse Joyce Carol Oates, Evan S. Connell, Mahasweta Devi, Arnost Lustig, Antonio Tabucchi, Ngugi Wa Thiong’O, Dubravka Ugresic and Ludmila Ulitskaya. She is the only Canadian on the shortlist. She is the third writer to win the £60,000 Man Booker International Prize, following Ismail Kadare (Albania) in 2005 and Chinua Achebe (Nigeria) in 2007. Her new collection, Too Much Happiness, will be published by Chatto & Windus in October 2009.